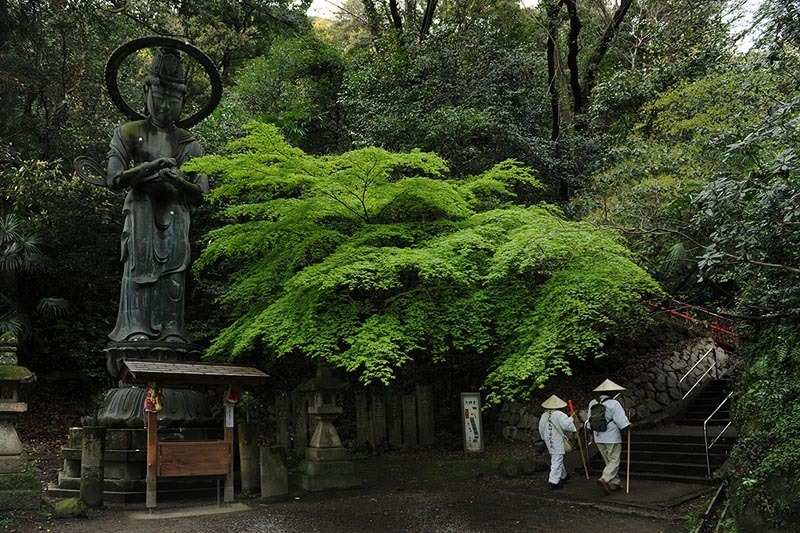 *Route Ohenro is a route made up of 88 temples for Japanese Buddhist pilgrims. 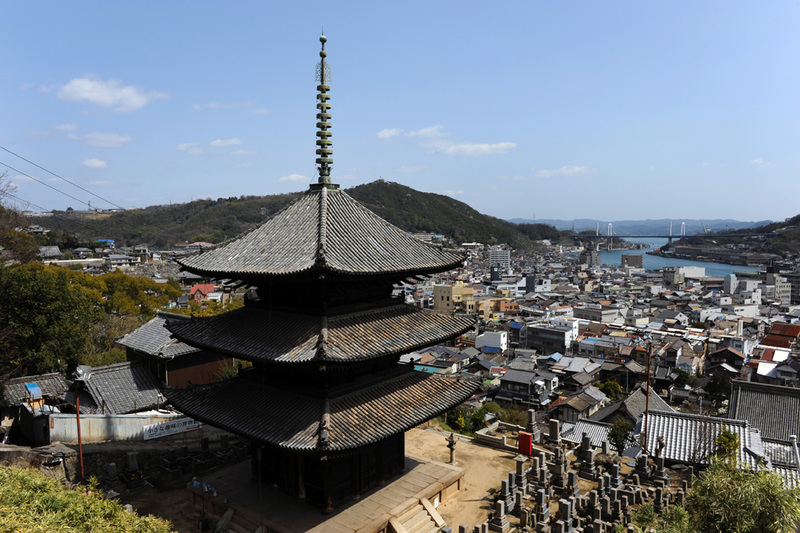 Many Japanese people wish to visit these 88 temples before they die. *Torii is a red gate to Shinto shrine. We all will meet at a hotel in Kyoto in the evening to make sure that everyone has arrived and are ready for our adventure that starts next day. 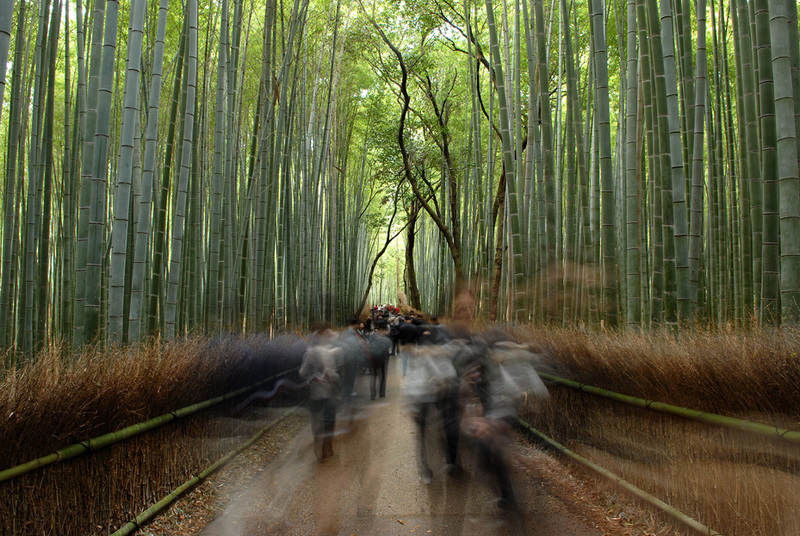 We will wake up early and start early with the famous bamboo forest of Kyoto in order to avoid the crowds. After bamboo forest, we will move to another part of Kyoto to photograph cherry blossoms and visit our favorite Buddhist temple with beautiful Japanese garden. In the evening we will stroll traditional Kyoto style streets with cherry blossoms and later go to Gion, geisha district, where we might be able to photograph geisha on the street. 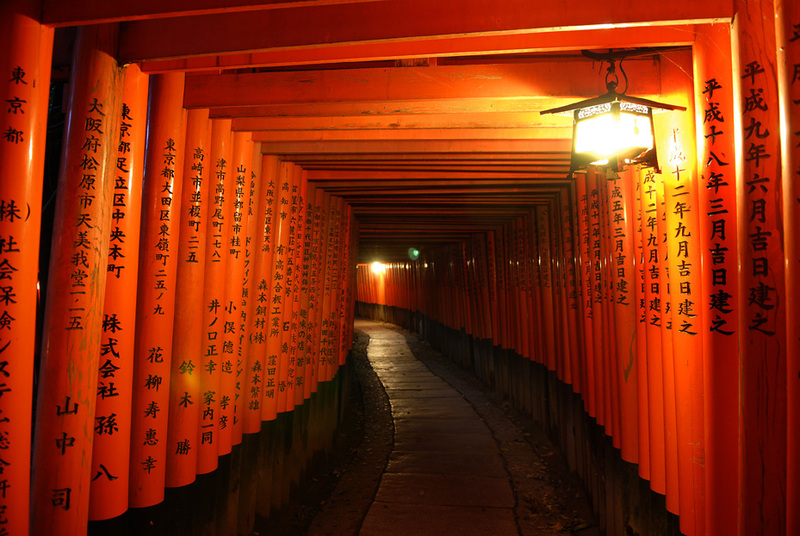 Today also, we will wake up early and start early to photograph the famous thousands of Torii, red gates of Shinto shrine, in Fushimi Inari Shrine. Once we are done with the Shinto shrine and overwhelmed by the crowds of tourists, we will move to our favorite quiet Zen temple with beautiful Zen garden. There we will find less tourists and enjoy the peaceful moments. In the afternoon, we will catch a bullet train, Shinkansen, to head to Takamatsu. 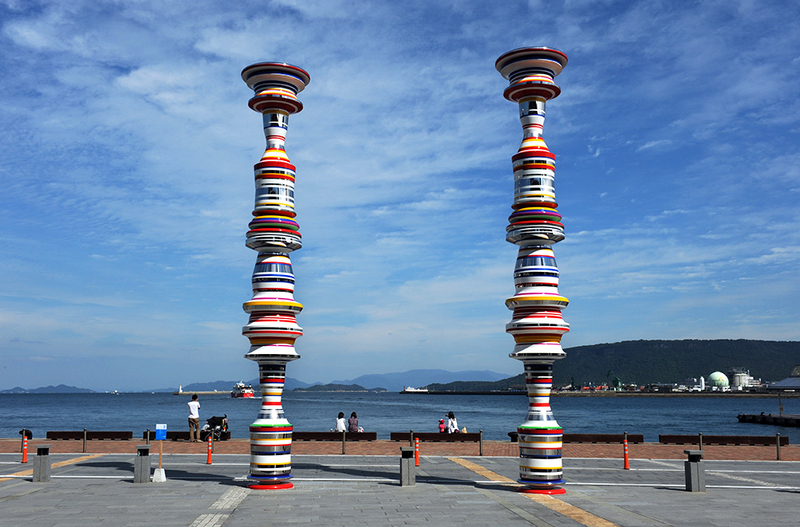 Today, we will dedicate all day to discover two small islands of Setouchi, Inland Sea of Japan, where many modern art works are permanently displayed outdoor and make up very interesting contemporary scenery with traditional Japanese landscapes. We will enjoy the relaxing atmosphere of both islands and take pictures of beautiful landscape of Inland Sea of Japan, dotted with small islands. We will visit Naoshima Island, headquarter of Setouchi Art Festival. 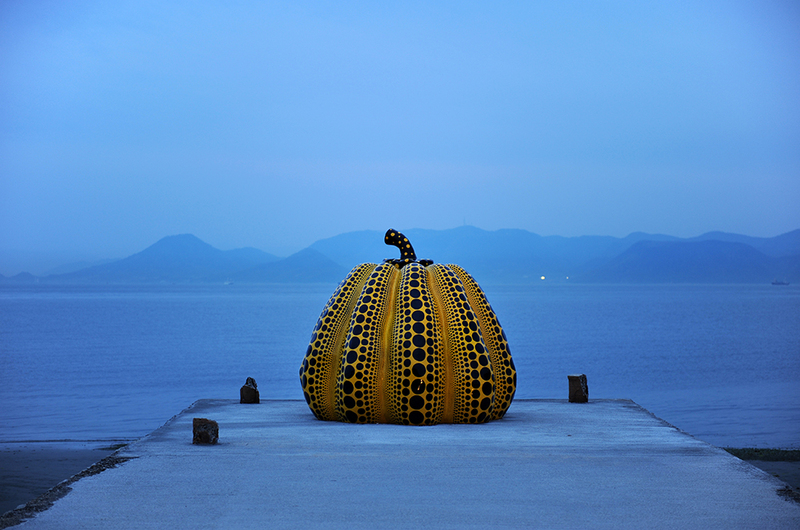 Naoshima Island has a few important museums designed by famous Japanese architect, Tadao Ando, and also famous huge pumpkin artwork by Yayoi Kusama. Modern art, nature, architecture, landscape and slow life melt together beautifully in this island. We will spend the whole day, wondering around the island and capturing the essence of the life in the island. We will wake up early to be the first visitors of the impressive Japanese garden with cherry blossoms and have a Japanese breakfast there. Afterward, we will head to the most popular Shinto shrine in Shikoku. But unlike in Kyoto, we will find very less tourists and we will be able to mingle into local Japanese people. In the evening, we will retreat to a Ryokan, Japanese style inn, near the shrine and enjoy authentic Kaiseki dishes, artistic traditional Japanese cuisine, and hot springs bath to relax our bodies and mind. 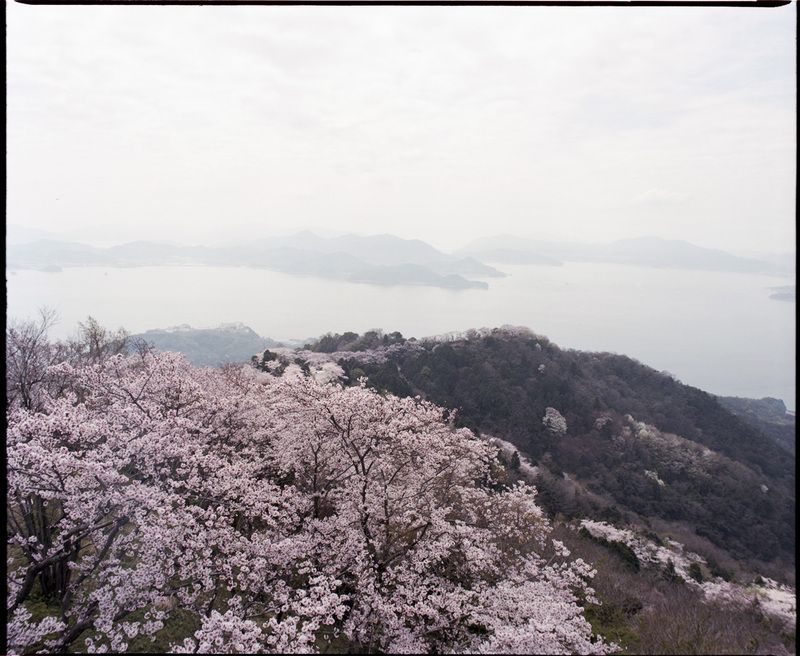 In the morning, we will visit a beautiful mountain with cherry blossoms with a great view of Setouchi. From the cherry blossom mountain, we will head to one of our favorites Buddhist temples of Route Ohenro, Japanese Buddhist pilgrimage rout with 88 temples. After we discover what Ohenro is all about, and photograph Japanese pilgrims, we will head to the heart of Shikoku, Iya Valley where we will find our hot spring Ryokan, with Kaiseki dinner. In the morning, we ill visit and photograph the amazing gorges and get on a boat to enjoy the gorges. Later we move deeper into the Iya Valley where we will find vine bridges to cross the river. In the afternoon, we will go back to the coast of Setouchi, and photograph beautiful cherry blossoms along the river. 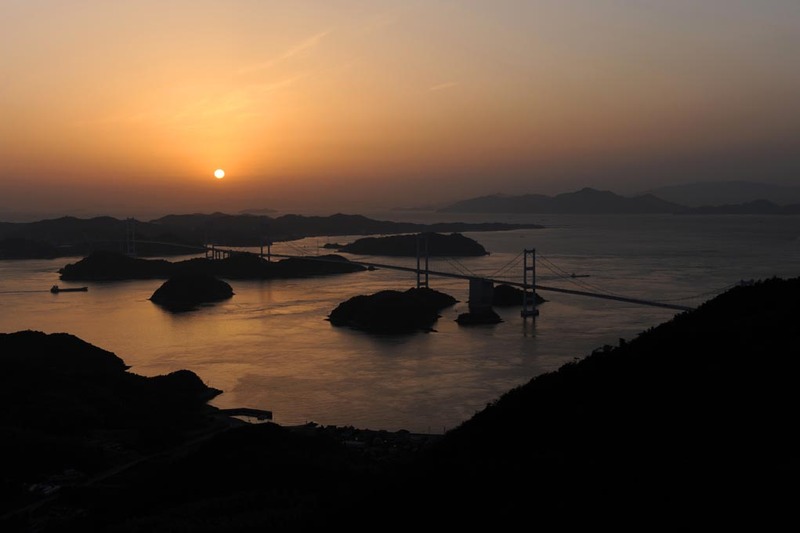 In the evening, if weather permits, we will go up to a mountain to photograph amazing sunset on small islands of Setouchi. Today, we will leave Shikoku and head to Honshu, main island of Japan, crossing and stopping by small Setouchi islands that are connected with bridges. We will photograph an island with 500 stone sculptures of disciples of Buddha standing on the top of the hill from where we can see the spectacular view of Setouchi. Later, we will take a short-distance ferry to visit another island that has the most impressive cherry blossoms in Shikoku and Setouchi area with the spectacular view of Inland Sea of Japan. If time and weather permit, we will approach to a Shinto shrine on the coast of an island where we will photograph the photogenic shrine on the seashore before we arrive at a small interesting town in the main island of Japan. We will visit a Buddhist temple with cheery blossoms on a hill where we go up by a cable car and walk down by photogenic long stairs and slopes. Then, we will catch a bullet train to go to Osaka that is our final point of this tour. Toru Morimoto and Tina Bagué, both professional photographers, have organized a dream trip to “Kyoto, Shikoku & Setouchi Islands” to witness the ancient capital of Japan, Kyoto, with full of cherry blossom, to discover rural Japan in Shikoku, the smallest and least populous of the four main islands of Japan, and to enjoy the astonishing landscapes and contemporary arts in Setouchi Islands. We will spend the first two days in Kyoto, visiting and photographing the beautiful cherry blossoms, movielike bamboo forests, mysterious Shinto shrine with thousands of red gates, and vibrant city of Kyoto with full of Japanese culture and tradition, before leaving to Shikoku. Shikoku is famous especially for the Buddhist pilgrimage route of 88 temples known as “Route Ohenro”, a route similar to the Christian pilgrimage, “camino de Santiago”, in Spain. We will visit some of the most impressive Buddhist temples of the route that we have selected from our own experience. 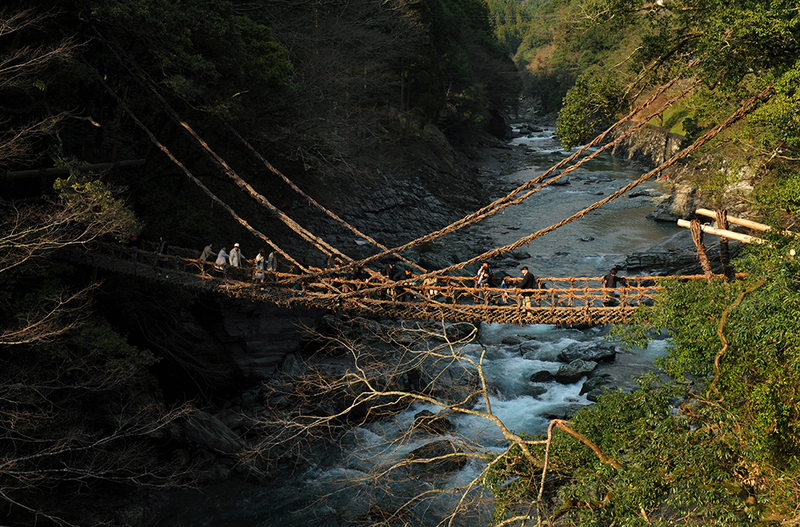 We will explorer Iya Valley, one of the deepest valleys in Shikoku, to enjoy the nature and landscapes. From Shikoku, we will also visit some small islands of Setouchi, Inland Sea of ​​Japan. These small islands have practically turned into open-air museums from the sleepy depopulated islands. Now a modern art festival is celebrated every three years in the small islands attracting tourists and art lovers from all over the world. We will enjoy the interesting landscapes mixed with modern art and experience a relaxing life in small islands of Inland Sea of Japan. Of course, we will also capture amazing landscapes with cherry blossoms in this region. Sleeping in handpicked hotels and ryokan, enjoying Japanese authentic and artistic dinner, kaiseki, as well as delicious local food, travelling by a private bus, and visiting placing off the beaten tracks are some of the elements that make this tour more special. You will see real Japan in this tour. The total price of this trip is 4.150€ per person in accommodations of twin rooms. In case you want to stay in a single room for the whole trip, the additional price will be 600€. We will meet at 18:00 PM at a hotel in Kyoto in "DAY 0", the day before the departure. Hotel of "DAY 0" is included. 2 lunch, 3 dinner, and dinner of "DAY 0"